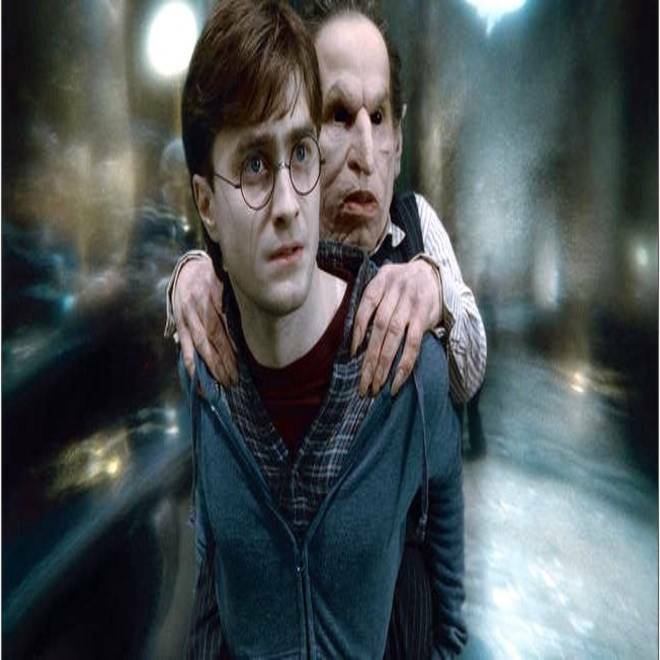 Harry Potter (Daniel Radcliffe) and the goblin banker Griphook (Warwick Davis) are concealed beneath an invisibility cloak in "Harry Potter and the Deathly Hallows: Part 2." Harry Potter's invisibility cloak comes in handy for the final installment of the boy wizard's film saga, but real-life invisibility technologies might well be at least as useful — even if they aren't as cool as Harry's cloak. For the foreseeable future, the benefits provided by the real-life gizmos that have come to be called "invisibility cloaks" or "cloaking devices" really won't have much to do with the kind of tricks you'll see in "Harry Potter and the Deathly Hallows: Part 2." Sorry to disappoint, but you won't be able to throw a high-tech fabric over your head and disappear from the scene when the bad guys come looking for you. However, it is conceivable that scientists could look at viruses and protein molecules directly, using new breeds of ultra-high-resolution "superlenses." Physicians might have more accurate ultrasound scanners at their disposal. Acoustical cloaks could hide ships or underwater assets from sonar detection. And offshore facilities could be engineered to soften the effects of wave erosion on the shore ... or amplify ocean waves for generating renewable power. All this magic could come about through the power of metamaterials. These are materials that are specially structured and shaped to bend electromagnetic waves or acoustical waves in weird ways. Real-life invisibility cloaks, for example, are actually devices or layers of material designed to divert light around the object that's concealed. This month's issue of Physics World delves into the past, present and future of invisibility — and the best part about this particular issue is that you can download it for free as a PDF file. One of the limiting factors for invisibility cloaks has to do with wavelength. Shorter wavelengths require smaller structures in order to produce the bending effect. That's why bending sound waves is easier than bending electromagnetic waves, and why bending microwaves is easier than bending visible light. Scientists have been able to develop "invisibility carpets" that can render bumps in the carpet undetectable — but the bumps have to be so tiny that you couldn't see them with the naked eye anyway (on the order of a millionth of a meter), and the invisibility effect only works for near-infrared wavelengths. A different research team came up with a way to hide objects in a region about three-quarters of an inch wide, using calcite crystals, but the invisibility effect is produced only with respect to light of a specific polarization. "While what has been so far achieved in invisibility science has been a tour de force of physics and engineering, our children will probably still have to wait some time for that real Harry Potter cloak," Stanford University's Wenshan Cai and Purdue's Vladimir Shalaev write in Physics World. Metamaterials aren't the only way to achieve invisibility, however. There are also active-camouflage techniques, ranging from video projection to a high-tech light-emitting matrix that's inspired by a squid's skin. The latest scientific buzz focuses on space-time cloaking, which involves using "time lenses" to compress and then decompress light. This would result in an apparent time gap during which an event could go unobserved. Scientists have discussed time cloaking as a theoretical possibility for quite some time (so to speak), but researchers led by Cornell University physicist Moti Fridman say they actually created a "time hole" that lasted 15 trillionths of a second. The Guardian, the Physics arXiv Blog and Science News delve into the details.